Dr. Hartig is certified by the American Board of Otolaryngology-Head and Neck Surgery. His practice combines traditional head and neck surgery with facial plastic and reconstructive surgery. He has extensive experience managing head and neck cancer, including tumors of the skull base and thyroid. He also performs microvascular free tissue transfer reconstruction, image-guided endoscopic sinus surgery and transoral robotic surgery for removal of tumors. 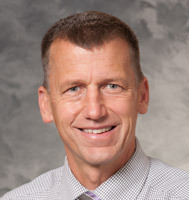 Dr. Hartig directs the head and neck oncology program at University Hospital. Dr. Hartig has research interests in the cytogenetics of head and neck carcinoma, free flap physiology and airway reconstruction.